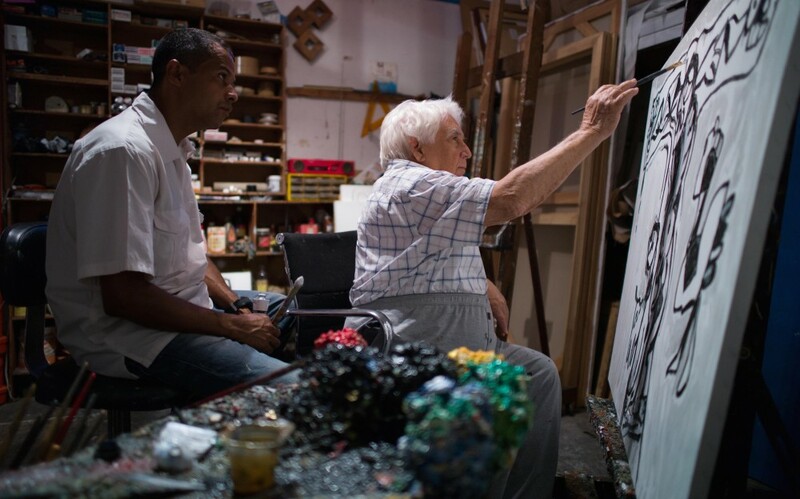 The world premiere of The Orchid Seller (El Vendedor de Orquídeas), a documentary film about Oswaldo Vigas, one of Latin America’s most influential artists, will take place at the 73rd Venice International Film Festival on September 8 at 3pm at the Cinema Giardino. The Orchid Seller is directed by Vigas’ son Lorenzo, whose debut feature film Desde Alla (From Afar) won the prestigious Golden Lion Award at the 2015 Venice Film Festival and was the first Latin American film to win the Golden Lion Award. 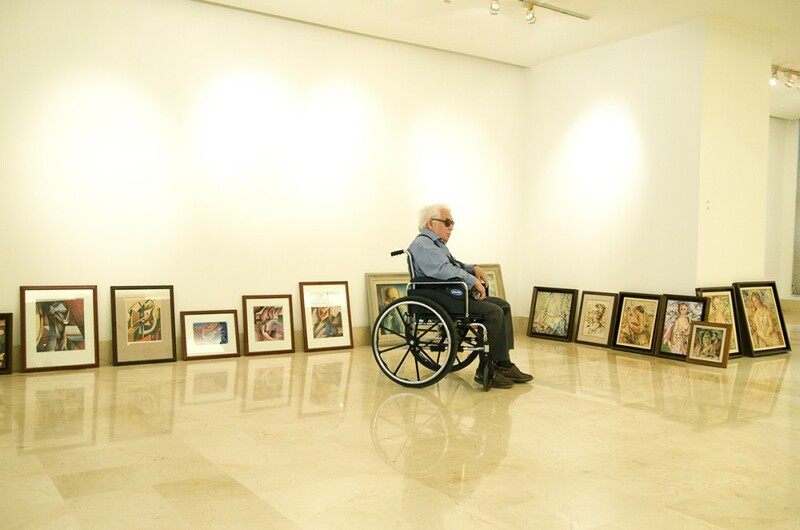 The Orchid Seller is a feature length documentary about artist Oswaldo Vigas (1923-2014) and his search for a misplaced painting. 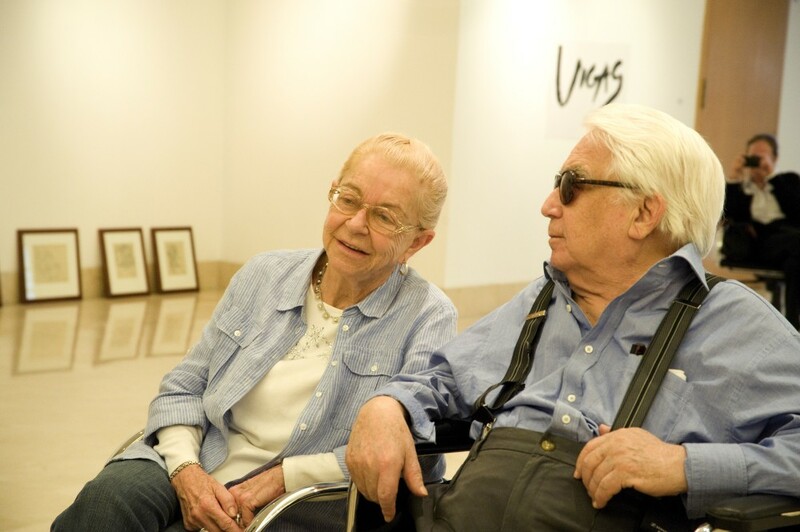 As an octogenarian, Vigas and his wife Jeannine travel to Guacara, Venezuela where he was raised to find The Orchid Seller, a painting he made in 1945 that has been lost. Vigas wants to include the painting in an exhibition about his early work and searches relentlessly for the missing work. During Vigas’ quest for the painting, he revisits his early artistic inspirations as well as the places and times in his life that defined him as a man and a creator. The film asks us to reflect on the passage of time, the importance of memories, and above all on the origin of the impulse to create. The Orchid Seller shows us the real person behind one of the most influential artists in Latin America.